We have had a change in our shipping plans. Seven Star just notified us that a new ship has been nominated for our transport. 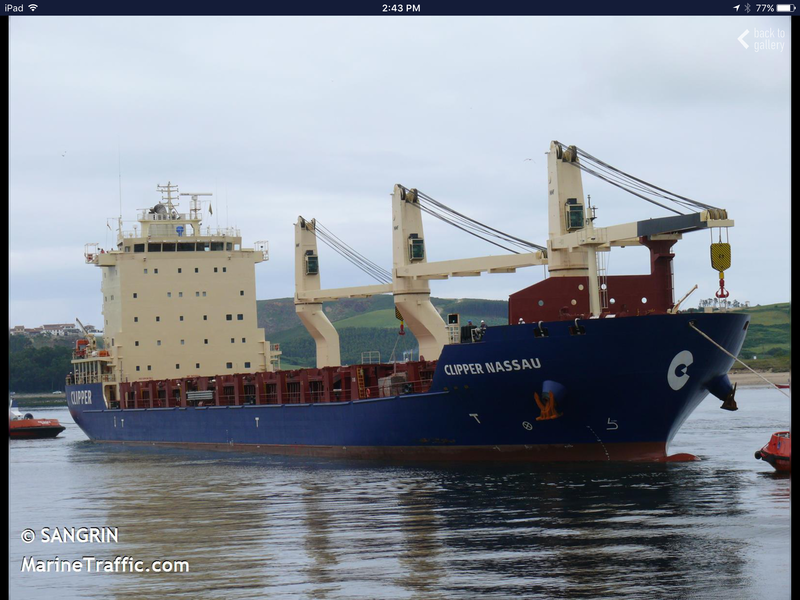 We are now being carried on the M/V Clipper Nassau. Evidently the M/ V Happy River had some base cargo problems that were going to delay the ship for a week or so. We had been following the Happy River on the Marine Traffic app and for some reason she disappeared off the coast of Newfoundland. She did show back up a few days later in Quebec. We are guessing that she went into a port and turned off the AIS. Having just crossed the Atlantic in some nasty weather ( 30 ft. Seas), maybe some of here cargo shifted. This change of ships may be a good thing. The new ship is much newer, having been built in 2013. The Nassau Clipper is currently at a port in Mexico. We should receive a load plan in a few days. The ship is scheduled to arrive in West Palm April 28 th or 29 th. We will travel down to West Palm to stage for the loading a few days before. This entry was posted on April 24, 2017 at 7:14 pm. You can follow any responses to this entry through the RSS 2.0 feed. You can leave a response, or trackback from your own site.